This stunning new Arte collection is almost an ode to the night. A peaceful night that envelopes you in darkness. At first you can’t see anything, but as your eyes acclimatise you begin to see the subtle sparkle of stars, high in the heavens, and the moon emerges so that in no time at all you start distinguishing lots of new things. You have the same sense of discovery in the whole collection. What you see first off are the full, warm and rather dark colours. Warming ochre, shades of green and deep purple. And when you look closer, it looks as though a sort of fabric with a sheen has been overlaid on top of it. Could this be moon dust? Scan carefully with your eyes and feel the particularly discreet texture that creates a hint of relief. A feat of printing technology. There are various variants in this collection. The first is made out of shiny wavy lines that come together in the form of a cut diamond. They put one in mind of isobars on a weather chart, wavering at different levels. They are not just simple lines however, but a film-like labyrinth of metal threads that create a play of lines in relief against the background colour. The second plain design in this collection is a consciously designed mish-mash of pleats, which might remind you of leather at first. You also recognise the vague print of intricate cotton with a fine sheen brushed on top of it. One moment you can see it, the next it looks entirely matt. The second design is smaller and is made up of a network of diamond shapes with moving and irregular contours that look as though they have been drawn by hand. 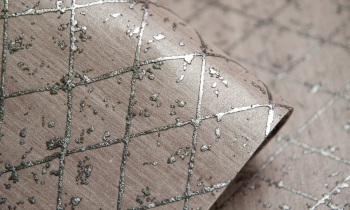 These diamonds seem nonchalantly dotted with bits of fabric with metallic hints. The choice of the material used creates a fascinating décor with a very modern look. The other stunning model in this collection is the pleated variant. The material is decorated with lots and lots of overlapping pleats. A relief that you do not just see, but can actually feel with your fingers. The overall effect is of fine wavy lines. 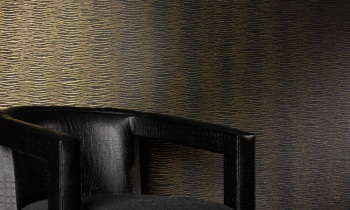 An effect that is magnified by the individual edging that is added to each wave and creates an intriguing sheen. 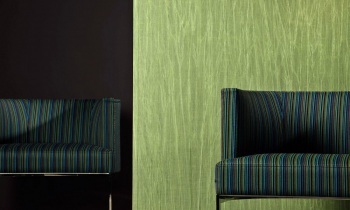 This wallcovering can be used in two directions, either of which offers a completely different image. If the pleats run upwards, the effect is that of sand in the desert. If they run downwards it looks like a golden waterfall. It all depends which way you look at it. Noctis is full of surprises that you can discover as the light falls on it from different angles creating unusual reflections. Just like the night. This collection offers you a decor that is full of refinement and elegance. Of passion and intimacy. And endless pleasure.